Spatial reasoning has long been an area of interest in the development of mathematical understanding for young children. Researchers are just beginning to understand the interplay between spatial reasoning and mathematics learning. In my role as a Math Coach this year, I got the privilege to work with 4 Kindergarten Educators who were interested in exploring how spatial reasoning tasks could support their students at a diverse, multi-cultural school. Educators at the school were looking to explore mathematical tasks that could provide entry points for all students, create opportunities for mathematical discourse and would support the development of conceptual understanding of important early mathematical concepts. 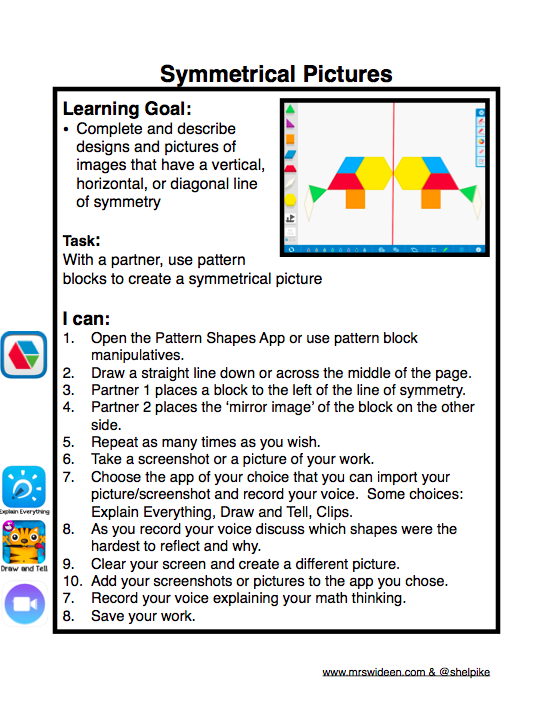 Specific and intentional math spatial reasoning tasks with at least 1 centre at all times available for students. 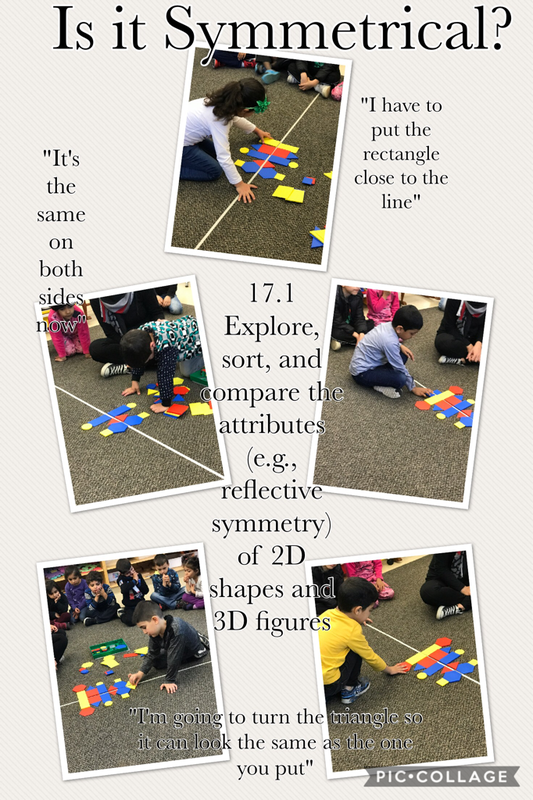 One guided spatial reasoning lesson a week. 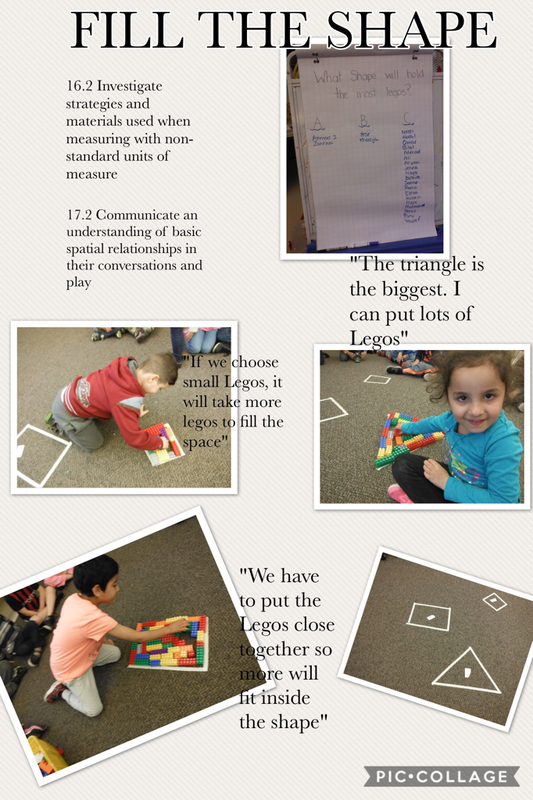 ‘We Share Math’ during Whole Group Circle to support vocabulary use and procedural instructions (I built this by …). 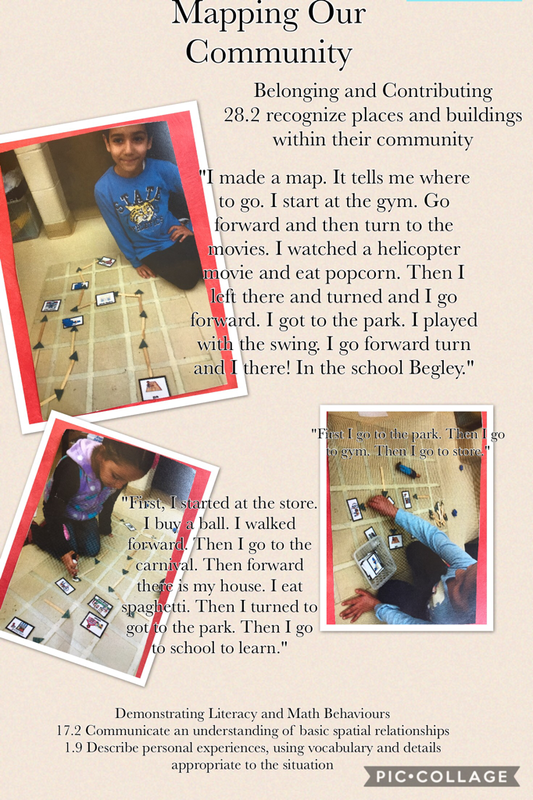 All educators noted that this Collaborative Inquiry led to more student mathematical language, more student interest in math, and increased use of manipulatives. Students were more engaged and reported that they enjoyed the centres and often asked if they could engage in the spatial reasoning activities. Educators observed that there was more focus on math in general in their classroom and consequently more mathematical discourse. They noted that an intentional focus on math definitely led to more student participation and use of language ( I used these rectangles and triangles and turned it (flipped it) to make the shapes. ).Because educators provided more challenging and more variety in math tasks, students had the opportunity to problem-solve and be creative and innovative in their learning. 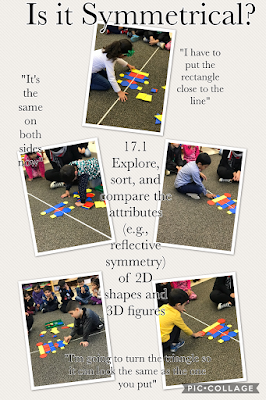 Educators participation in the inquiry and their personal professional learning led to the creation of a library of resources to support spatial reasoning. 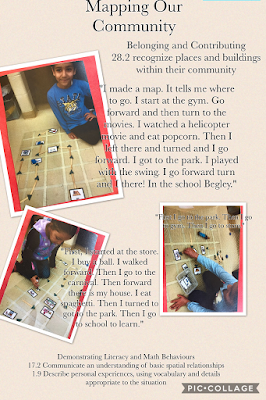 Over 70 different spatial reasoning learning activities were collected. Participating in this inquiry has only brought up more questions to ponder about this fascinating topic. I can't wait to continue this journey in September! Check out Vicki Davis' New 10 Minute Teacher Show! Karen and I are so excited to be on Vicki Davis' new PODCAST: The 10-minute Teacher Show. We are especially excited to be one of the first guests on her new show. Check out the podcast and have a chance to win our book Innovate with iPad and a chance to win a Maker Bot Mini!